Save money with our multi-buy prices available on these Pro Nitrile 100% Non-Latex gloves. More sizes available. 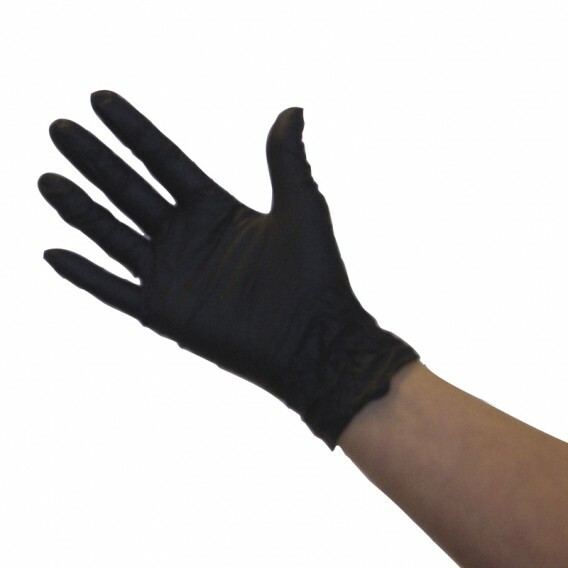 Pro Nitrile Small Black Gloves are 100% latex free, eliminating potential allergic reactions to natural latex protein. Offers superior puncture, tear and chemical resistance properties. Textured fingers allow for reliable grip in wet and dry conditions. Powder free. 50 pairs per box. More sizes available. Fit perfectly and very durable. Far better than latex gloves for the sake of the skin.